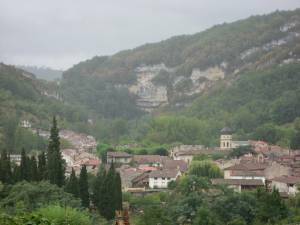 A welcoming village in the Ariège, at the foothill of the Pyrenees about 80 km from Toulouse. Its magnificent prehistoric cave gives it the impalpable atmosphere of a particular and serene site. 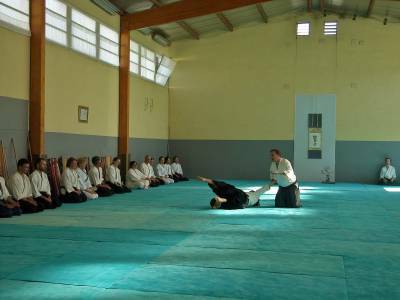 The workshop takes place in the municipal gymnasium, which is transformed into a dojo for the occasion, every year. The evening sessions of Katsugen Undo are opened with a conference. One activity 340 euro. Two activities 390 euro. Under 18 years: -50%. 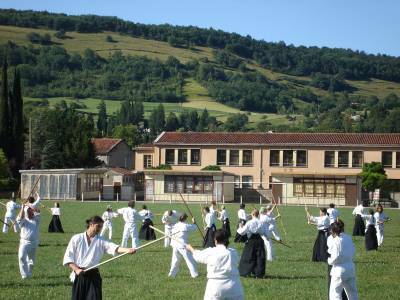 Members of Itsuo Tsuda School: -30%. For inscribing, please send the inscription form Subscription form to the address below before 31/05/19 (beyond that date, please contact us). As long as there are places available, it is possible to inscribe until the first day of the workshop. Depending on the number of inscriptions, applications for one week can be accepted. Beginners are required to start on the first week of the workshop. Bus from Toulouse to Montesquieu Volvestre, then carpooling.